Comments: Softcover, 215 x 305 mm. English reprint of the original publication dated 1954 with seven additional photographs, 2017. Text in english. Black & white photographs. Edition limited to 300 copies (for the english edition). Signed by René Groebli. 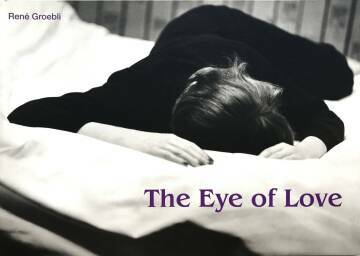 First published in 1954, Das Auge der Liebe (The Eye of Love) by the Swiss photographer René Groebli is a small book featuring images that were made during the honeymoon with his wife Rita in France. 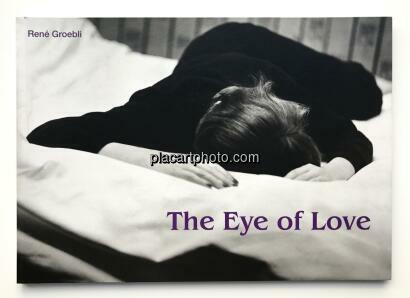 In Groebli's own words: "I tried to convey the typical atmosphere of French hotel rooms. There were so many impressions: the poor-looking furniture in a cheap hotel, the word 'Amors' embroidered on the curtains. And I was in love with the girl, the girl who was my wife. I think a series of photographs should be compared with a novel or even a poem rather than a painting: let us tell something!"